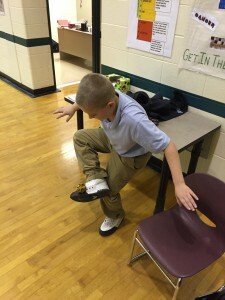 Students in Mr. Helton and Ms. Young’s classes at Jeremiah Gray-Edison Elementary School utilized hacky sacks to stay fit and healthy during their physical education class. 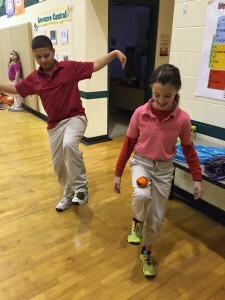 Students learned how hacky sacks improve your strength, balance, coordination, and fitness. Did we mention, they are also fun and CHEAP? Students pictured are: Dakota Ford, Ayrick Steele, and Isabella Meece.